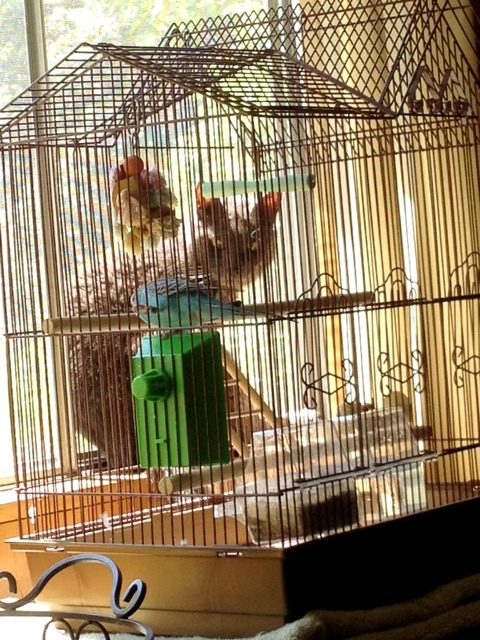 Is our cat Maddy in the cage with our little parakeet? No. Would Maddy like to be in the cage with our little parakeet? From the look in her eyes, I say 'Yes'. I'm participating in Wordless Wednesday over at Sincerely, Paula. If you join us, let me know!